Almost 15 years back, the Rajnath Singh of BJP was evicted as the CM of Uttar Pradesh, following which the political graph of BJP in UP went downhill. However, at that time BJP managed to get 80 seats. But, a decade later, BJP could only acquire 47 seats in the UP elections, and its hold in the state decreased even further. But, what happened in the 2017’s elections is a history. Not only BJP got back to power, but it witnessed a remarkable win with two thirds of the majority. If you are wondering that how BJP completely changed the entire situation, and turned the tables completely, then here are the top 10 factors which led to BJP’s massive win in Uttar Pradesh. Under the leadership of Modi ji, BJP has turned assertive and aggressive. Moreover, few recent changes introduced by the PM in the last year made people believe that change is possible, and he has the calibre to bring it. The first masterstroke played by Amit Shah, the BJP president was to appoint Keshav Prasad Maurya as the state unit head. This helped them to secure the core upper cast vote. Confident about the support from the upper caste voters comprised by Brahmins and Thakurs, BJP worked on social engineering, and appointed around 170 non-Jat OBC and non-Yadav candidates across the state. The successful alliances made with SBSP (Suheldev Bharatiya Samaj Party) and Apna Dal helped the BJP to secure votes from central Uttar Pradesh and Purvanchal. By bringing in the major leaders from BSP such as Swamy Prasad Maurya, RK Maurya, Brajesh Pathak etc. BJP badly damaged the winning formula used by Mayawati in 2007 by combining the non-OBC and Brahmin-Dalit. To bring the agenda of Hindutva forward, BJP didn’t give tickets to any Muslim leader in UP which seemed to work in their favour. One of the biggest factors that contributed to BJP’s win is the failure of the Congress and Samajwadi Party alliance. Not naming any CM candidate till the end was one of the best shots played by BJP, as it did not lead people to make any assumptions before elections. BJP campaigned very smartly and addressed people differently in the different zones. Rajnath Singh campaigned in the Thakur dominated areas while the Brahmin voters were addressed by Kalraj Mishra. 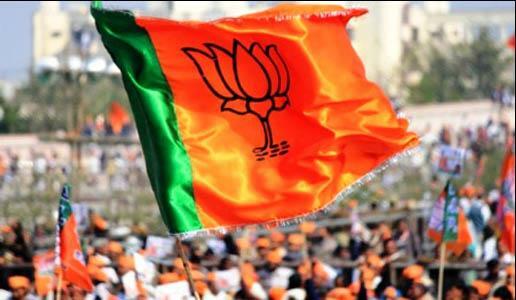 The BJP’s election manifesto had many points which directly impressed the voters of the UP. One of these was the end to Triple Talaq which made Muslim women vote for BJP. Similarly, there were many other points that contributed to BJP’s colossal win.